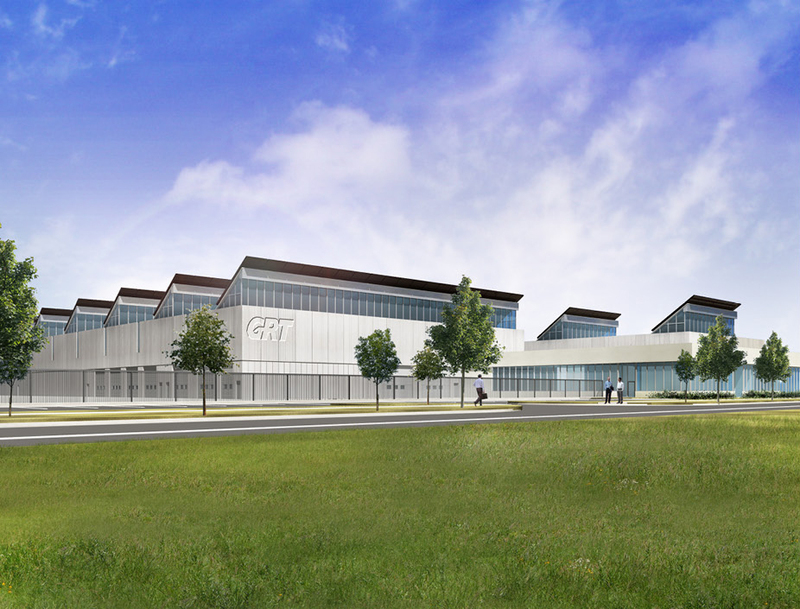 Grand River Transit Facility - Strasman Architects Inc. 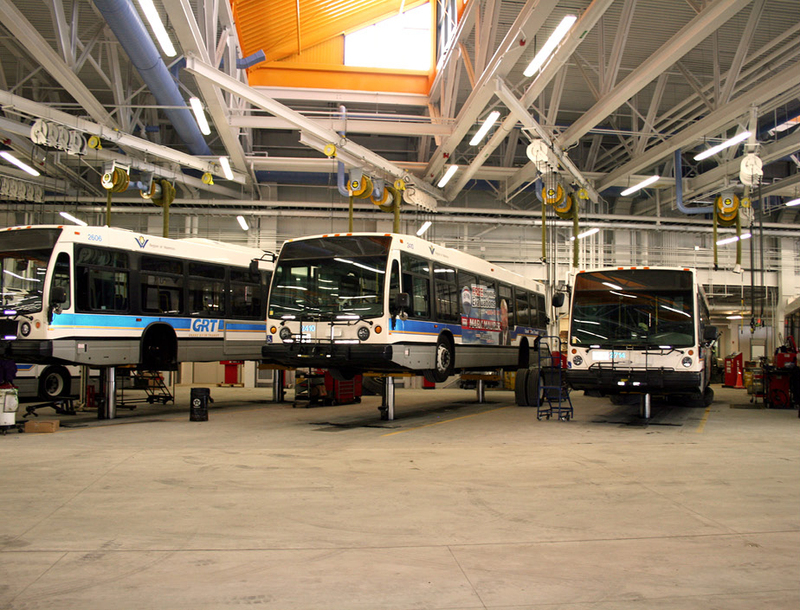 The Grand River Transit (GRT) Strasburg Road Transit Facility is located in the City of Kitchener, Ontario. 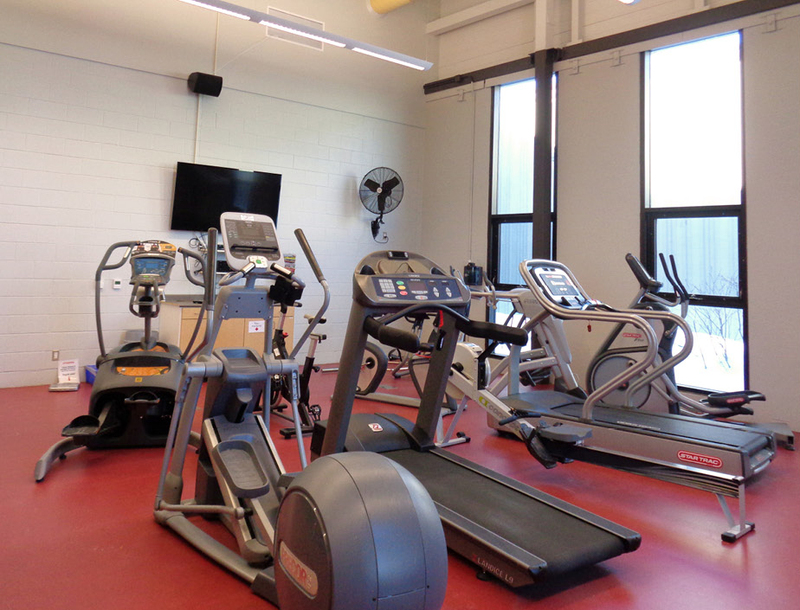 The project was undertaken in multiple phases and included the renovation, repurposing, and addition to the existing building (Building A) to accommodate an expanded program and operational requirements. 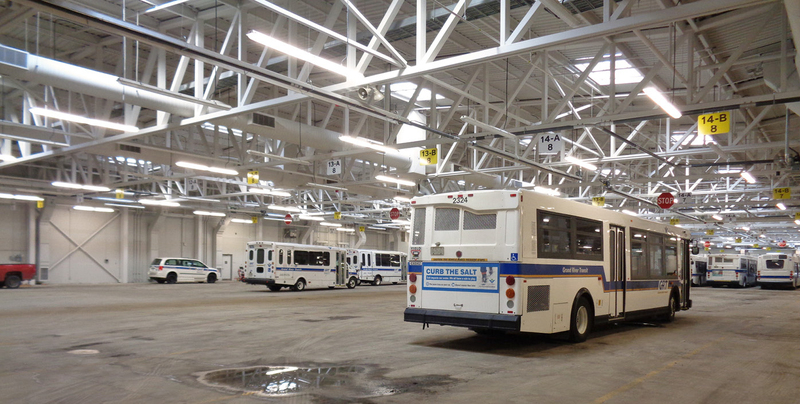 Renovations to the existing building included approximately 31,215 sf of office and staff support space to suit the expanded program requirements and the conversion of 113,000 sf of maintenance area to bus storage. 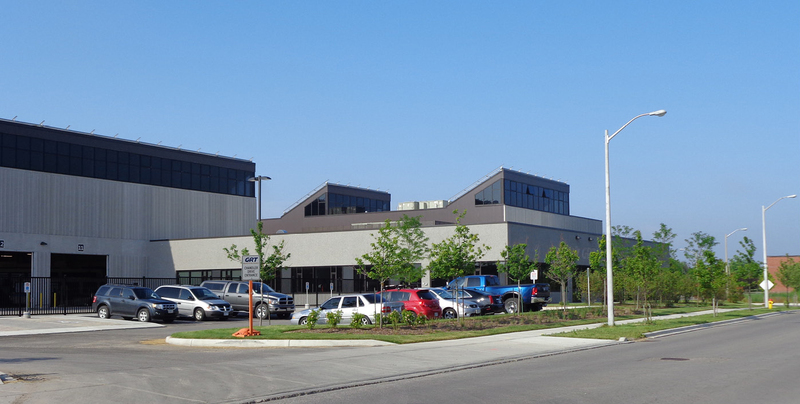 The guiding principles for the design of the project were based on the Region of Waterloo and Grand River Transit’s desire for a facility that is operationally efficient while creating an enjoyable work environment.To accommodate this, the design team worked in collaboration with the Region of Waterloo, the project stakeholders, and user groups to reconfirm and establish program requirements. 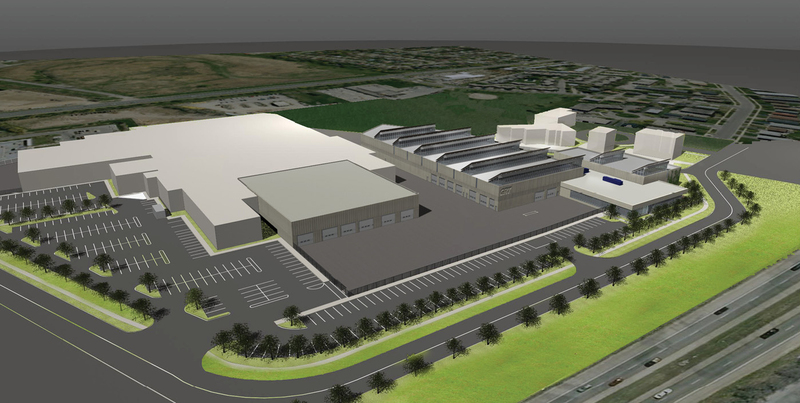 The layout of the overall site plan, availability of space, existing site constraints, constructability and impact on existing operations, vehicle and pedestrian circulation, the movement of parts and equipment, spatial adjacencies, and existing building services were all considered as part of the design solution. 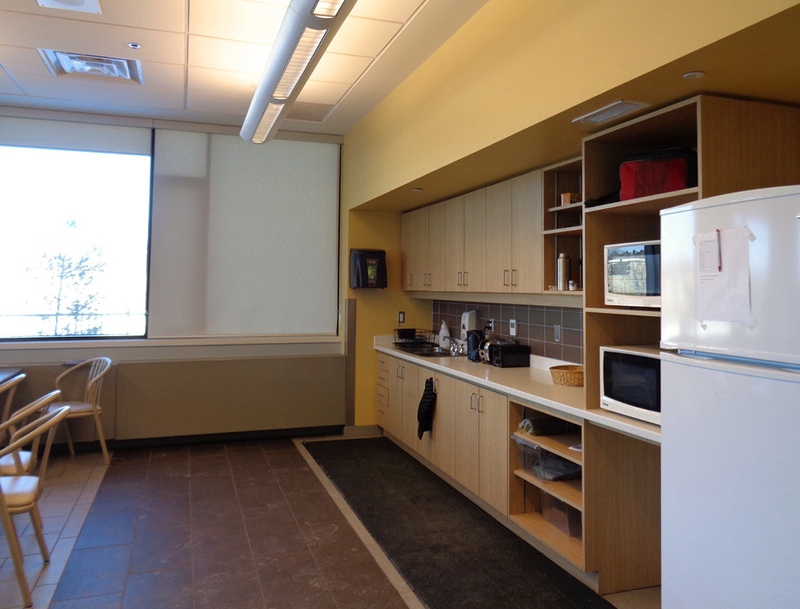 The renovation work took place in a phased approach to minimize interruption to existing operations.